Tesla has had difficulty producing the Tesla Model 3 and is still trying to increase the number of cars produced each week. 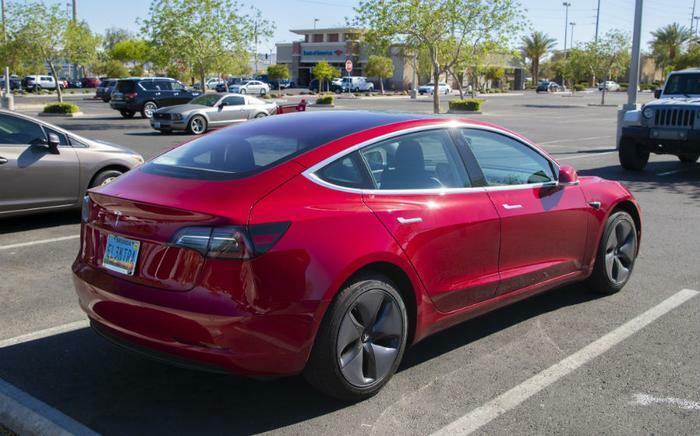 Now the carmaker is faced with another Model 3 issue -- the car has failed to win a coveted recommendation from the reviewers at Consumer Reports. First, the praise. Consumer Reports says its testers who drove the Model 3 confirmed record-setting range for an electric vehicle. Beyond that, it was fun to drive. They describe "exhilarating" handling and pickup that put it in the class of performance cars like the BMW 3 series and the Audi A4. Its price starts at $35,000 and goes up to $78,000, which isn't all that unusual for a luxury electric. So, what's not to like? "Our testers also found flaws—big flaws—such as long stopping distances in our emergency braking test and difficult-to-use controls," Consumer Reports wrote in its review. "These problems keep the Model 3 from earning a Consumer Reports recommendation." For example, the review says the Model 3, traveling at 60 miles per hour, takes 152 feet to come to a stop. Consumer Reports says that is "far worse" than any recent model car it has tested, and about seven feet longer than the stopping distance of a Ford F-150 pickup truck. Tesla disputes the stopping distance claim, saying its tests show the car comes to a full stop within 133 feet. Tesla CEO Elon Musk Tweeted a response to the review, saying the stopping distance issue can be improved with a firmware update. Braking has been an issue in other automotive reviews of the Tesla Model 3. Car and Driver specifically mentioned the brakes in its bullet point "likes and dislikes" portion of the review. "The Tesla barely ekes out a win in this category with its stop from 70 mph, although we did notice a bizarre amount of variation in our test, which involves six consecutive panic stops—the third of these stops took an interminable 196 feet," the reviewer wrote. Despite being behind on its production goals, Tesla suspended Model 3 production for a time last month, saying it needed to "improve automation and systematically address bottlenecks in order to increase production rates." Tesla began taking orders for the Model 3 last year, with consumers required to put up a $1,000 deposit with their order.